Apex for Admins: Get Started with Apex in 30 Minutes! In this webinar, You will introduce to Apex, and then walk you through the process of writing and deploying a basic trigger in your development environment. This series serves as an Introduction to Apex for Salesforce Administrator with no programming background. In this video David Liu will share some of his own learning path, as well as tips and tricks on how to become a Salesforce developer. The key takeaways of this is to show how quickly you can pick up the Force.com programming language and build triggers on your own and what a test class is, and how to write, modify and deploy a basic trigger etc. Welcome to the Summer’14 release from Salesforce, where you can run your business from your phone with the new Salesforce1 Mobile App that allows you to sell from anywhere, service customers everywhere, and market 1:1 to customers. To learn more about Summer’14 what this video. To download Summer’14 release notes click on the link. HTML version of release notes will be out on 27th June. Show Details :- Users can view the details of events, but they cannot add events or edit existing events. 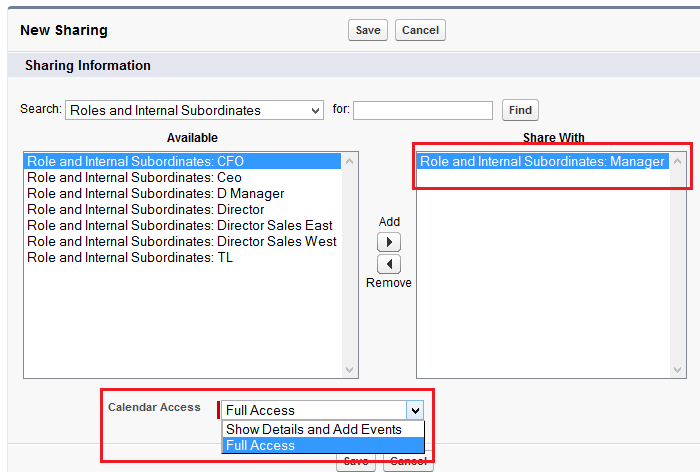 Show Details and Add Events :- Users can view the details of events and add events, but they cannot edit existing events. Full Access :- Users can view the details of events, add events, and edit existing events. 2) you can sign ups for multiple pre-release org with same email address . Before that we were following “Salesforce Pre-Release Registration” method (Blog Written By – Johan Yu) to sign-up for multiple pre-release org. To know about all ideas selected for next release browse http://goo.gl/qdyYAd. Always browse Known issues sites to know about Known salesforce.com Issues.